Dock Search.com - Boat docks, slip, dockage for rent classifieds. Welcome to DockSearch.com, your place to locate boat dockage, and rent or sell your boat dock space or boat slip. 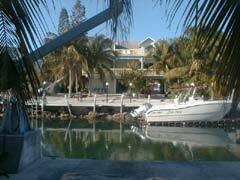 DockSearch.com is a on-line boat dock classified site. If you have a boat and are looking for dockage, dry dock, or a boat slip for rent or sale, you can search the dock listings. If you have a boat dock or slip to rent or sell, and you would like to make some extra money, you can list your dock. To list your boat dock, first become a DockSearch.com member. "Your site was a great success. It was easy to use. I uploaded a picture of my dock and I had immediate results. I more than doubled my income and rented to someone within my city." "You guys are a god-sent for a guy like me looking for a live aboard slip in Florida." "I've gotten a couple rentals from out of state that probably would not have happened without Docksearch. Thanks - great service." "You have a great site there, i'm looking in the keys myself and your site helps a great deal." "Your sevice was great for me. I found a long term renter in less than 3 weeks and I will use your service again when he leaves." "It has not been that long since we listed our marina with DockSearch, but the results have been great. We have received numerous inquiries. We just wanted to say 'Thanks'." - Jay & Cathy, Acosta Creek Harbor, Inc.
We would love to hear from you. If you have any suggestions or comments please click here to contact us, or please e-mail us at crew at docksearch.com.